The Chancellor: Peter CostelloAustralia has just had a budget. Beeing the penultimate budget before a general election it contained much of the gumph you might expect. However it was also quite a clever one as Australia's current financial situation gives the chancellor a fairly sizeable sum to throw around - over $10bn this year alone. Australia, after a long period of what it's population sees as fairly high taxes, has got a measure of control over it's public spending and eradicated government debt. There is no budget defeceit and no public sector borrowing. Unlike almost every other westernised country in the world Australia is in the black. The cash for the chancellor's recent generosity hasn't just come from taxing the populace but an Australian economic boom powered by the mining industry. Oz has minerals and they are relatively cheap. Oz is also sells to the fastest manufacturing economy on the planet, China. The PM: John HowardYou might have expected a chancellor with that amount of money to use to throw it around and gloat a bit. Peter Costello though is after John Howard's job and doesn't want to appear reckless; this may be his last budget as chancellor after all. 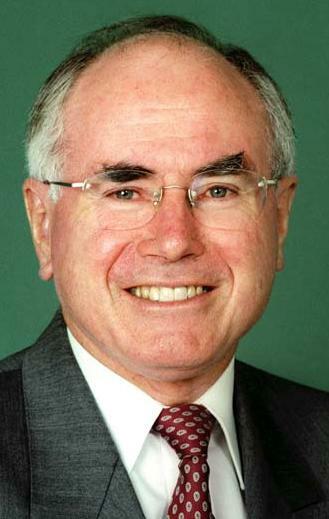 Howard is almost certain tostep down before the next election having been in power for 10 years. Costello is seen as the natural successor. Much of the budget spend was on infrastructure - Australia's roads could do with a bit of attention - there was additional spending on childcare and support for families. All good commendable stuff. It's all pretty boring really so what's the clever bit? The clever bit of this budget is that there were notr the predicted vote winning cuts in income tax. Instead Costello tinkered with the tax thresholds. Unsurprisingly like most taxation systems Australia's derives most of its' income from the tax bands where the majority of the population pays its' tax, in the middle tax bands. The 30% tax band, the second one from the bottom, has been carefully manipulated so that 80% of Australians pay the vast majority of their income tax in this band. The bottom Threshold has been pulled up and the top end extended upwards massively. Much the same has happened with the next tax band up, at 40% has been massively extended upwards. The net effect of this is that not a great deal has changed for the middle income earners. The average Aussie brings in about $53k a year and their income tax burden will be 1.6% lighter. Low income earners do better; someone on $30k is 2.7% better off, but this is before low income benefits are taken into consideration. The percentages are a bit deceptive here as the dollar amount is the same $822 that has come out of the bottom 2 tax bands. The rescaled tax bands mean that very low and high-end salary earners benefit the most whilst things are not too different for anyone earning below $75k. In fact the biggest benefitters percentage wise are people earning towards $150k coming in at 4.3%, or $6,500. After this point the percentages start to fall again, though obviously the fact that this is more money doesn't. What's happening here is that the chancellor is taxing people at virtually the same rate but giving people money back in the form of tested benefits - they are primarily available to families. This has allowed the chancellor to put through what is virtually a tax and spend budget whilst giving benefits to lower earners and not driving off the high earners so that the economy stays lively. Interesting strategy, it might just work. How did I do? With most of Australia I will be a little under $16 a week better off after 1 July. 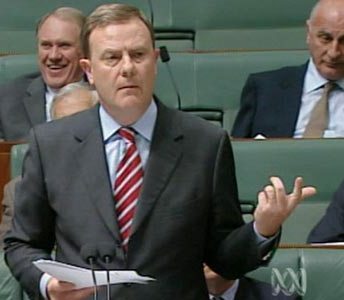 With beer at around or below $4 a glass Peter Costello has effectively bought me a beer Monday to Thursday. The Aussies have a word for someone who does that: mate. The chancellor's prospects look pretty rosy. I need a new phone, or rather more accurately, I don't. I have a phone and it works well, but it just isn't what I want any more. What I want is a camera phone with a built in mp3 player that I can watch video on and send photographs directly to the internet from (optional Light saber attachment would also be a big plus. Why do I want such a thing? I never carry a camera with me and I always regret it when I find something good to photograph. Mercifully for my bank account this isn't possible yet as Sony Ericsson need to hurry up and release the damn thing (maybe it's developing the light saber add-on that's holding it up). This gives me time to save up and be sensible, dammit. I can't justify spending the money on just a camera and I have a phone with me permanently anyway. See how I am rationalising spending huge amounts of money on a gadget? Other people seem to live with a camera. Chris seems to sleep with one under his pillow and Ben seems to have just about given up on the blog and now lives on flickr. The italian bloke behind me on the bus as was scribbling this in my notebook was listening to music at ear-bleed volume and taking numerous pictures with his phone. I was tempted to get up and punch him for reading over my shoulder then nick his phone. But I didn't. It seems winter has arrived in Sydney. Last night it rained. The Sydneysiders have been wearing long coats, fleece tops and gloves for the past 2 weeks. The average daytime temperature has not been below 10 Cesius. I will freely admit that there has been a hint of winter about the mornings recently but it's a basic rule of thumb that if you can't see your breath, you don't need gloves. Winter here is a mindset not a season, and I'm not inclined to think it's Winter just yet. How can it be a week since I last posted? I need to get my act together. The truth is I am still petty damn busy. This is a good thing because it means at least my life is pretty full, and I'm not wasting any time with pointless crap (like watching Aussie TV). It is also bad because it means I am trying to fit having a life into my life whilst actually having a life. Which is difficult. It also means that you end up living a backlogged life where you are constantly catching up with yourself. I have taken to carrying a notebook with me on public transport and scribbling away at top speed to try and get some writing done in the travel time between activities. These are usually filled with staring vacantly into space. My brain normally copies over these areas of memory like you'd record over a bad TV program on a video. This has the odd effect of timeshifting me to new places. I emerge from the bus blinking in the sunshine thinking: "Now how the bloody hell did I end up here?" The notebook is obviously a laptop substitute but laptops don't have the other side-effect that I quite like, keeping the seat next to you free. Nobody wants to sit next to the lunatic scribbling away at top speed in an unintelligible scrawl. I may take to giggling as well and in extreme casses drooling. Updates as they happen.